We got some new fish! We thought it would be fun for the kiddos if we got a little aquarium. We got a little ten gallon tank to start off with. 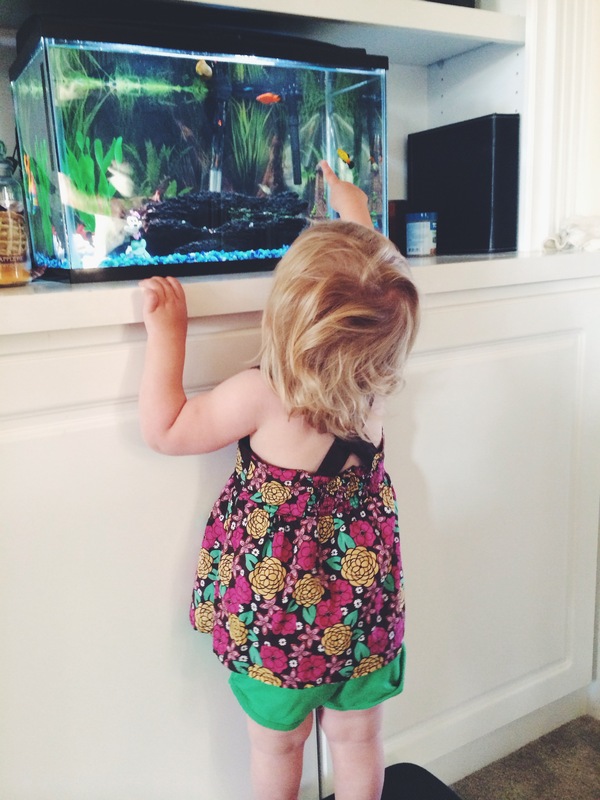 We know nothing about fish except that we had them as pets when we were little. So, we’re all learning. We’d love to eventually get a saltwater tank, but we’ve heard it’s best to make our mistakes with little five dollar fish, than to make our mistakes and kill a eighty dollar fish. The kids are having fun with Stripe, Sharky, Nemo (of course), Orangena and two snails named Turbo and Bertha. The kids love watching them and feeding them! Please pray we don’t kill them, and have to give a speech about death to the kids.